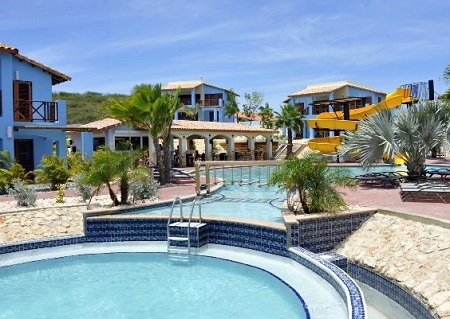 Kunuku Aqua Resorts in Curacao! Bid Per Room Per Night and Choose Your Length of Stay! at the Kunuku Aqua Resort in Curacao! Experience a tropical atmosphere, weather like in paradise and European level of comfort and safety. 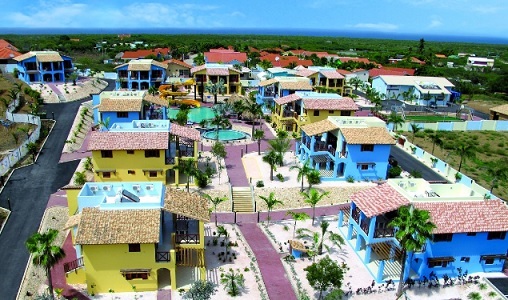 Kunuku Aqua Resort is a new vacation resort with 24 villas in the final stage, dividable into 48 apartments, on Curacao. All vacation houses offer a high class interior with also excellent standards in cleanness and security. The location is in the middle of Curacao, a bit away from the main road. Beaches and tourist attractions of the island are easily accessible. The location offers a quiet and luxurious base for holidays. We address demanding clients who want to arrange their vacation individually and independent from mass tourism without having to abstain from comfort. We have recreation areas, a big pool, a bar and a shop to provide a relaxing vacation and supplies. The exclusive vacation houses offer room for up to 12 persons, divided into two apartments for 6 persons each. 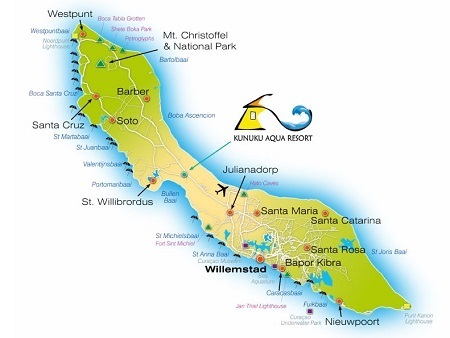 We provide an excellent service for your enjoyable vacation on Curacao. The rent includes cleaning, laundry and much more. The entire complex is being guarded 24/7. At the reception we offer activities such as boats, jet-skis, car rental. Transfers from and to Hato Airport are NOT included. Offer is based on an Apartment for 3 - 4 Guests.